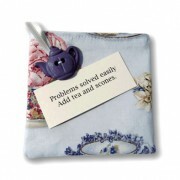 Friendship Tea Bags are cute little cloth bags with a poem on the front. Each one is decorated with a little do-dad - a button, a heart, a tea pot or some similar item. These can be filled with a sample of any of our loose teas and comes with a t-sac so they can enjoy it right away! 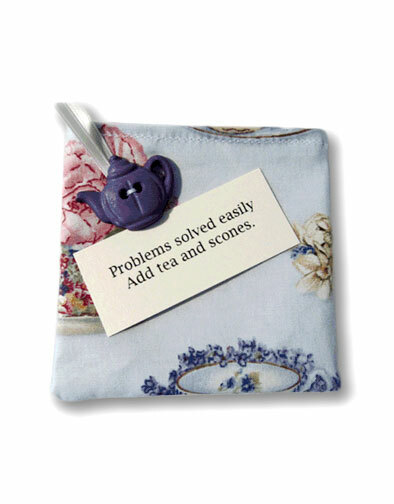 The Friendship Tea Bag is also a thoughtful addition to any tea party - whether it's a party of one or many friends. After tea is done, your friend can hang her Friendship Tea Bag as a remembrance using its ribbon loop. 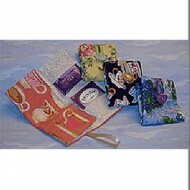 Comes in a variety of fabrics and verses.